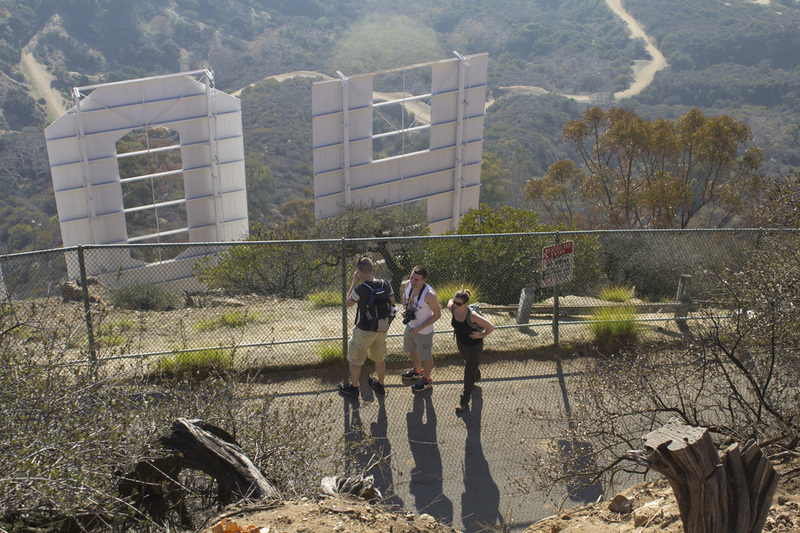 It's iconic, inspirational and perhaps the most famous landmark in all of Metro Los Angeles: The Hollywood Sign. 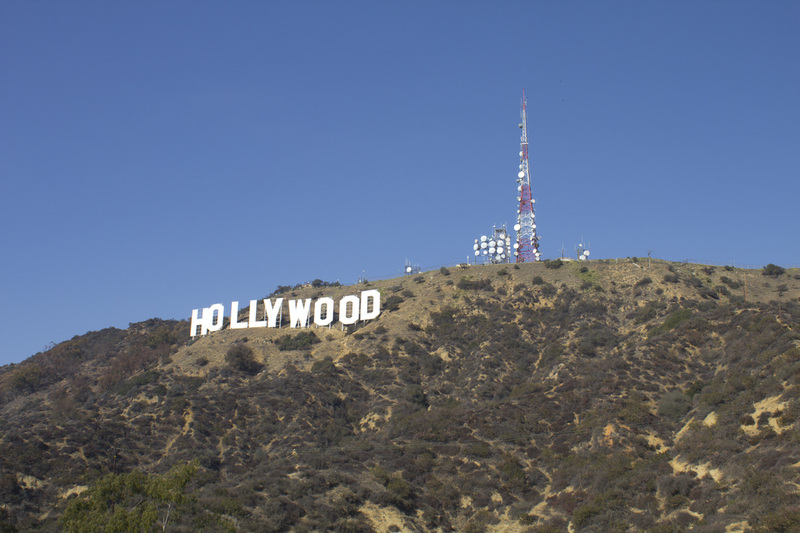 Erected in 1923 high atop Mt. 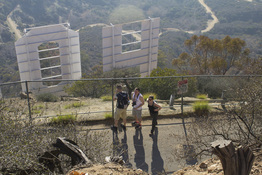 Lee in Griffith Park, the Hollywood sign can be seen from just about anywhere in the Los Angeles basin. 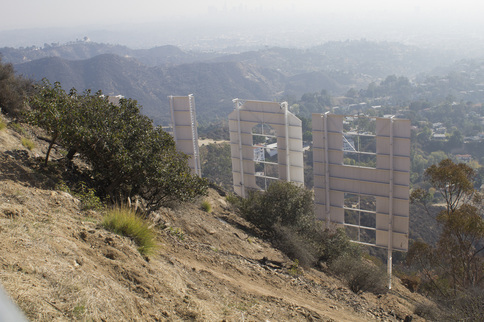 The sign originally read Hollywoodland and was a promotional gimmick for a local real estate development company. 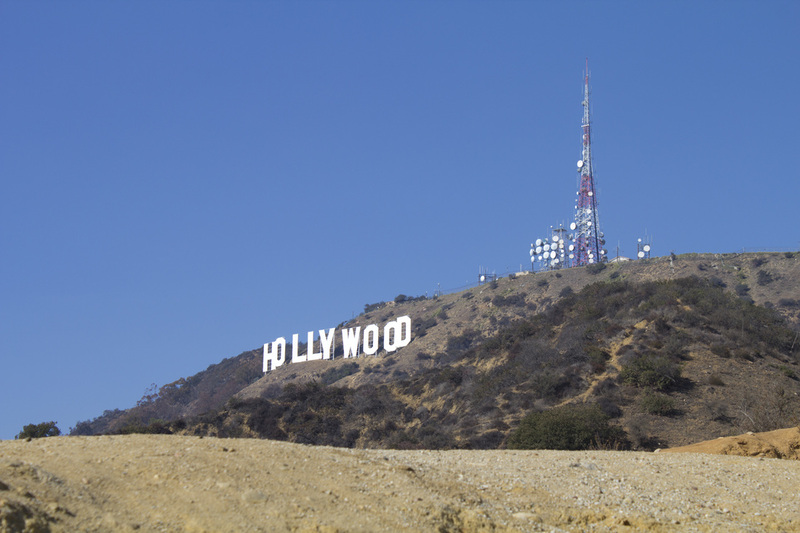 While there are numerous vantage points to photograph this icon of Tinsel Town, most visitors want to get up close and personal with a bit of Hollywood history. This hike will take you there. Or at least as close as you can legally get. Due to frequent pranks and vandalism, a security fence and remote cameras have made it impossible to actually stand at the sign, but you can stand just above the 45' tall letters on top of Mt. Lee for sweeping views of the Los Angeles Basin including downtown Los Angeles, Hollywood, Santa Monica and, on clear days, the Pacific Ocean and Catalina Island. 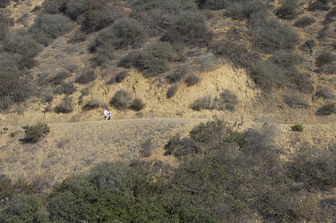 This is a sunshine hike, meaning there is no shade on the trail or available water, so bring your own. There are several great spots for picture taking and a short trail from the sign will bring you to the top of Cahuenga Peak, the highest point in Griffith Park with sweeping views of the Los Angeles Basin and the San Fernando Valley. The parking area at the trailhead has been closed by court order. 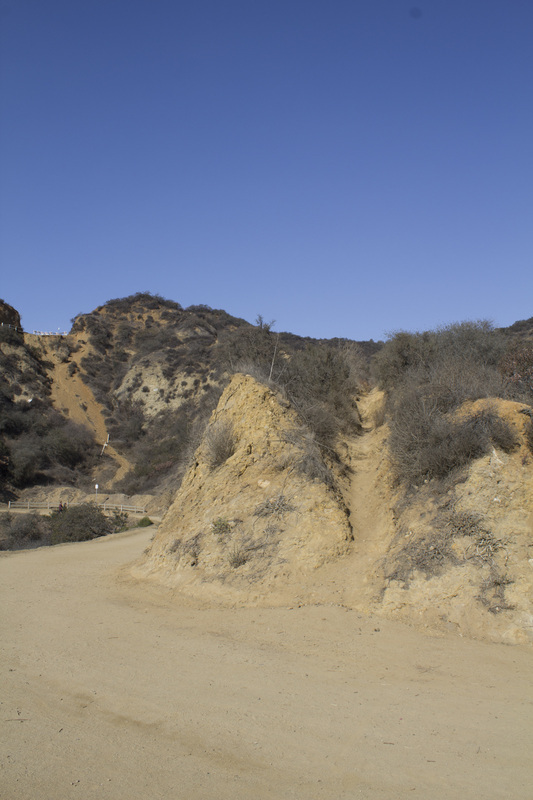 The trail is still open to hikers, but you can no longer drive to or park at the trailhead. 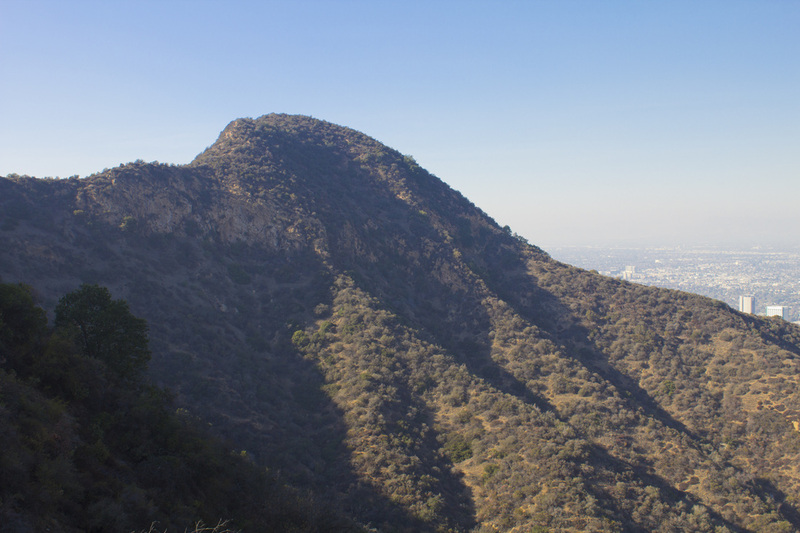 Consider the Cahuenga Peak Hike as an alternative way to reach the sign. 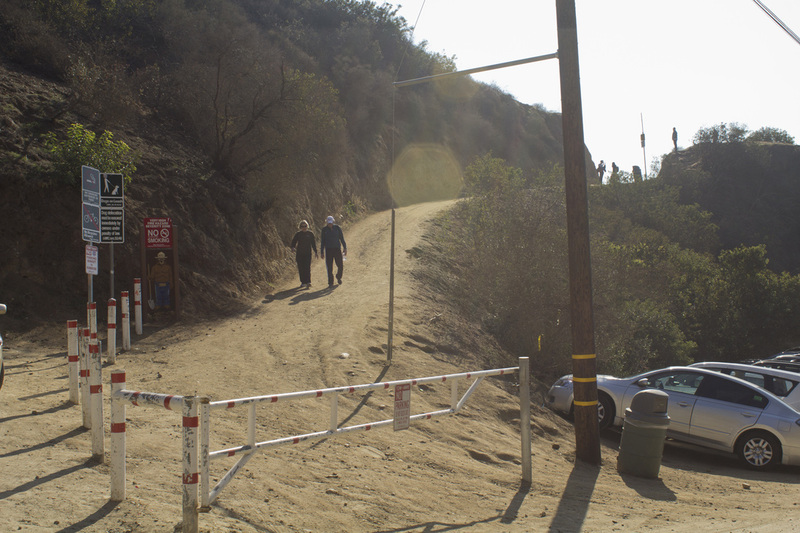 Please read the trail update at the top of this page before parking your car at the trailhead or you may find yourself with an unwelcome citation souvenir. 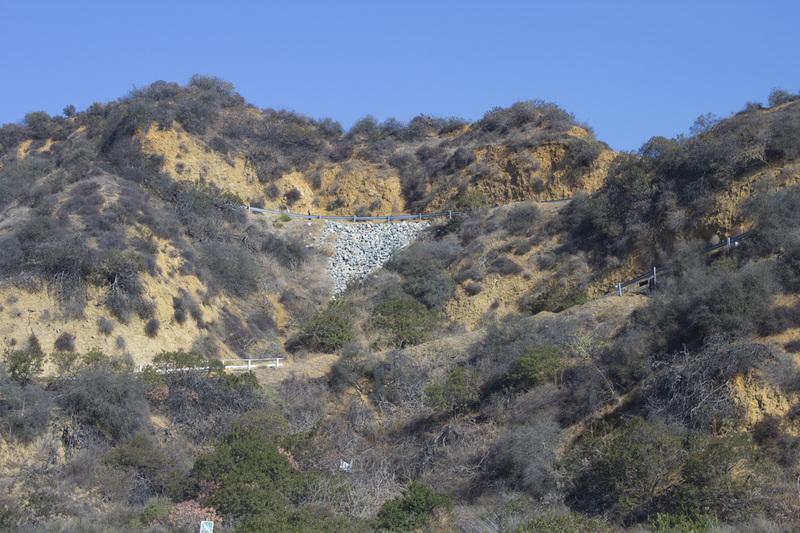 Use the Cahuenga Peak Hike as an alternative route to access the sign. Exit the 101 N at Beachwood Drive and head north on N. Beachwood Dr. for 1.75 miles to Sunset Ranch Stables. Park in the dirt lot on your right. From the 101 S, exit at Gower and turn left. Drive one block to the light and turn right onto Franklin. Drive one block and turn left onto N. Beachwood Dr. 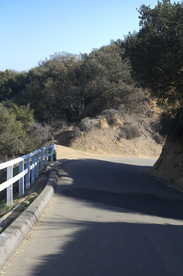 Proceed for 1.75 miles to Sunset Ranch Stables. Park in the dirt lot on your right. 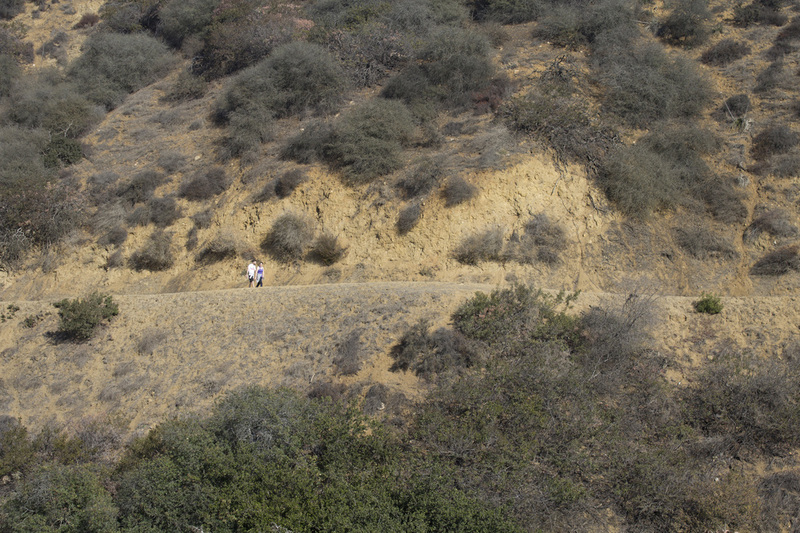 There is no water at the trailhead or on the trail; bring plenty with you. 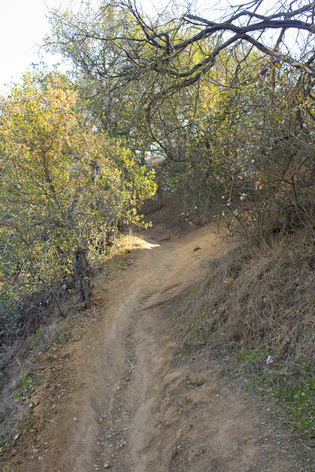 This is a sunshine trail; sunscreen is mandatory. Click for printable pdf guide and map. are no rest rooms or water available at the trailhead. rock to access the Hollyridge Trail. Stables. Watch for equestrians entering the trail at this point. .25 mile on the Mullholland Highway for now. .5 mile for some great picture taking opportunities. gated dirt road and climb the short hill to the Viewing Area. 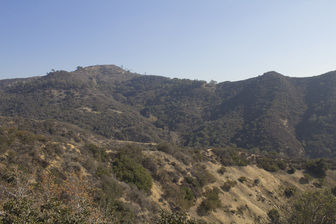 distance to the summit from this point is 1.4 miles. want to bag the peak. 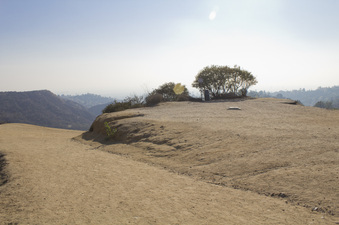 Pick up the trail just beyond the bronze marker. 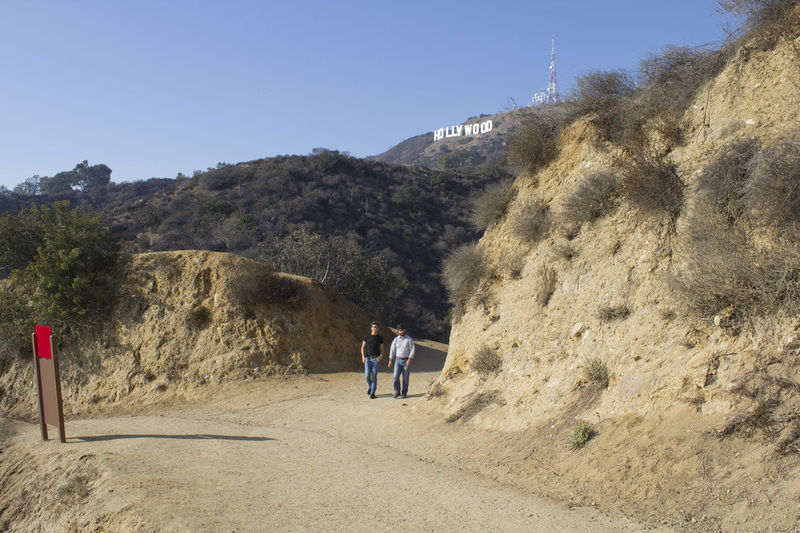 Otherwise, continue around the bend to the Hollywood Sign. left on the short single-track trail to the summit of Mt. Lee. Hollywood Sign Trailhead on N. Beachwood Dr.